This greenish slimy limy soup is often prepared by the Yorubas and is known to have so many nutritional values. Ewedu soup can be enjoyed in different forms. Gbegiri(local beans soup) can be added to this soup for a better taste. The ewedu soup is mostly eaten with Amala. INFORMATION NIGERIA in this piece put together 9amazing health benefits of ewedu soup. – This leaf (Ewedu) is clearly rich in micro nutrients, and these micro nutrients aid in reducing the chances of illness in the consumer. 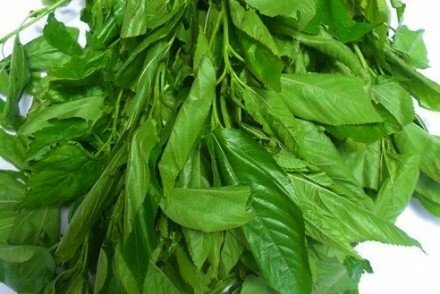 – The main vitamins found in Jute leafs (ewedu leaves) are vitamin A, C and E, and these vitamins are key in the protection of the body from certain degenerative diseases. – The vitamins present in Jute leafs (ewedu leaves) are also known to be skin beautifying agents as they tend to increase the production of collagen, thus keeping the skin firm and beautiful. – The ewedu leaf is an adequate source of fibre, thus making the plant very helpful in dealing with weight management and may also promote intestinal health by helping with bowel movement. – Ewedu leafs are also known to help boost immunity and nourish the body system. – They are also used to relief pains and possess some anti tumour properties. – The Ewedu leaf is rich in beta-carotone which supports good eyesight. – The antioxidants present in ewedu leaves aid in the protection of the body from chronic diseases and some medical conditions.